Fade, fade, fade! Fades are so in! There are so many fades going on and there seems to be at least two view points on picking colors — either you want a drastic contrast from one color to the next or you want it to blend seamlessly. 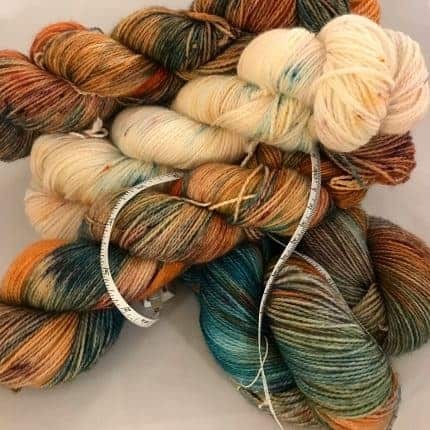 When using a drastic contrast it creates a definite striping effect and when using a gradient colorway it creates a seamless melding of colors. 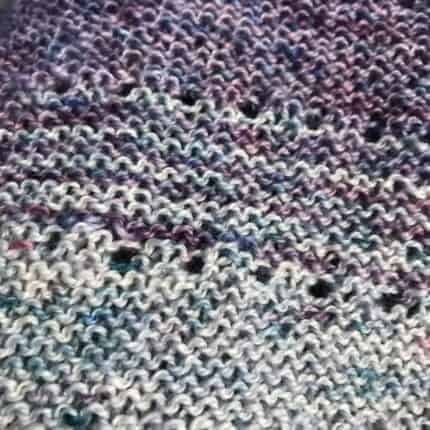 I wanted to make a simple stockinette sweater for my grandson and decide where I would change the colors, and off I went. 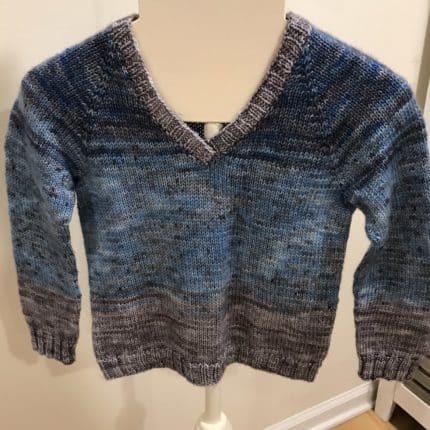 I used Whole Knit n’ Caboodle Superwash 100% Merino DK (Black and Blue, Karner Butterfly, Smoke Gray ) and just did a top down sweater to incorporate the fade into it. 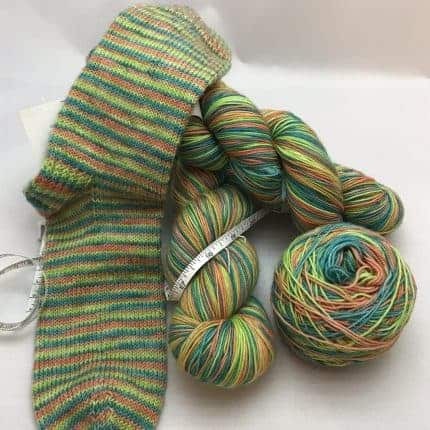 A new addition to my shop is my stripe sock yarn in single stripes, three-row stripes and five-row stripes. Great weather to be knitting socks. This is my go-to-the-beach kind of project!! Check out my website for online-only items. More color options and more to come. In May of 2017, I was on the big island of Hawaii. It was a beautiful trip where I was able to see the entire island on the Epic Island Tour. 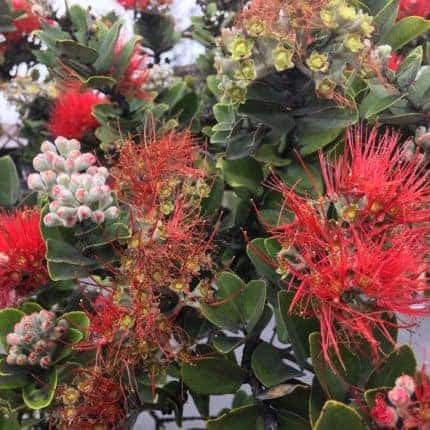 The photo is of the Ohia Lehua flowering tree that we learned so much about. 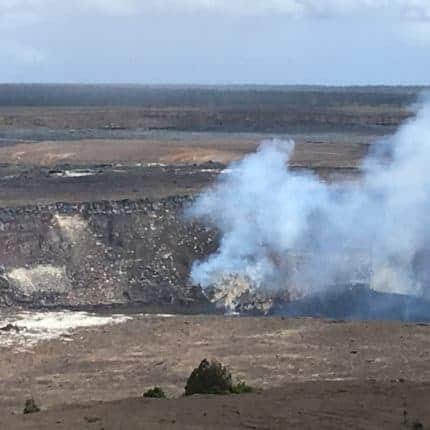 I can’t help thinking of the people impacted by the volcano that was only a small puff of smoke last year. In July I will be featuring a small line of yarns inspired by some of the photos that I took. I will sell these only online and I will be donating 20% of the sales to the Hawaii Natural Disaster Relief Fund. I will add them my website as I create them and will provide an update in my next Indie Untangled post. The Spring feeling! 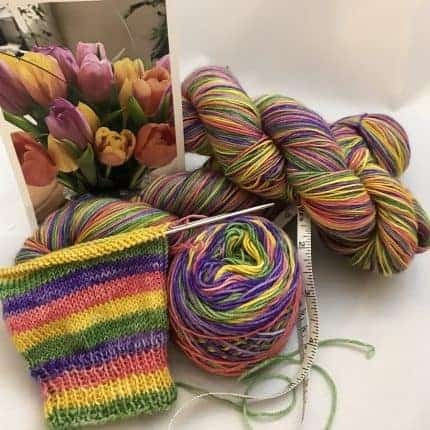 Tulips from a friend sparked the fresh creative feeling and I created my Spring stripe sock yarn. It is 450 yards and creates nice size stripes on socks! Available only on my website in a limited quantity and ready for preorder and shipped out the beginning of June. Visit yarn/online only section of the website. 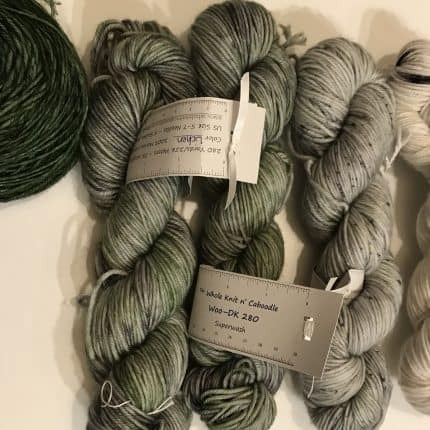 The Chancellors Sheep & Wool Showcase in Clermont, N.Y., on April 21 (11 a.m. to 4 p.m.) marks the start of the new fiber season. It’s so great to see old friends and meet new ones! It’s a very small show, but it is a great day and the scenery is just beautiful at the Clermont State Historic Site along the Hudson River. I hope if you are near the area you will come on out and enjoy the day. It’s one of the best things to see and talk to knitters, crocheters and fiber artists and see all the creative minds together in one place. 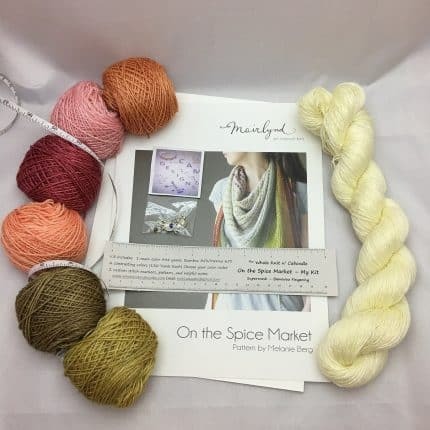 Not only is April 21 the Sheep & Wool Showcase but it is also Local Yarn Shop day! 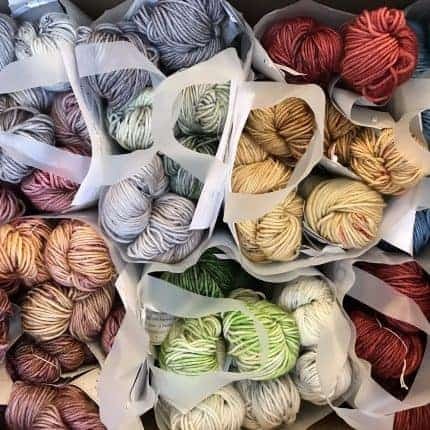 I hope you will all get out and support the local yarn shops — we don’t want them to go away. We need to support them so they will be there when we need classes, advice, supplies and of course for a knitting emergency! 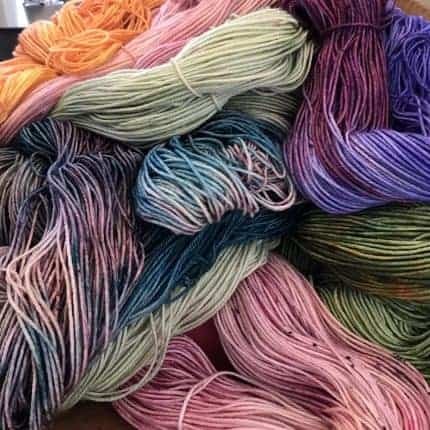 Lots of local yarn shops are having special events that day. 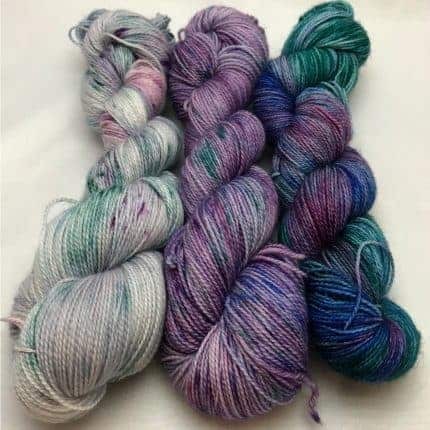 Maybe while you are in the LYS you can ask about indie dyers that need your support, too! 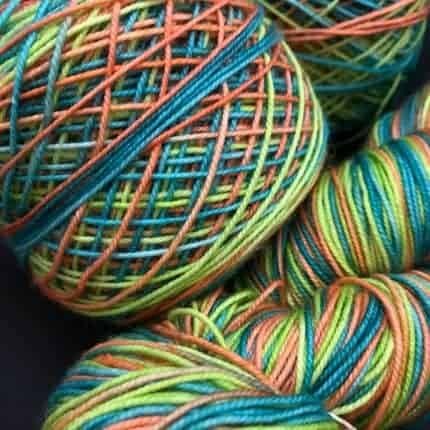 Stripe sock yarn… inspiration for my stripes is thinking about spring coming and thinking about it not getting here fast enough. As I am writing this there is a Noreaster storm hitting us and leaving us with a foot of snow! I am dreamimg of spring and the beautiful colors it brings us. As winter is winding down it is great to think about all the things spring brings. The Daffodills, Tulips, and Hyacinth will soon be coming up and everyone will be ready to get back out side in the fresh air. 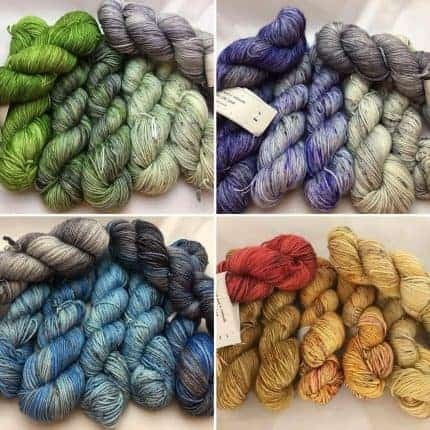 I have been dyeing all kinds of fabulous fibers this winter and producing some new colors for customized Fades for customers. 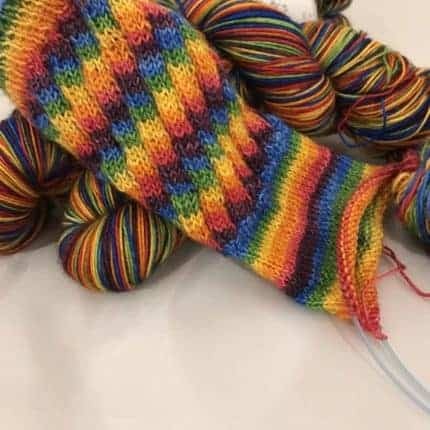 Also started making stripe Sock with the help from my math guru Husband. So much fun with color. Wish I could knit faster to create more colorful FOs! 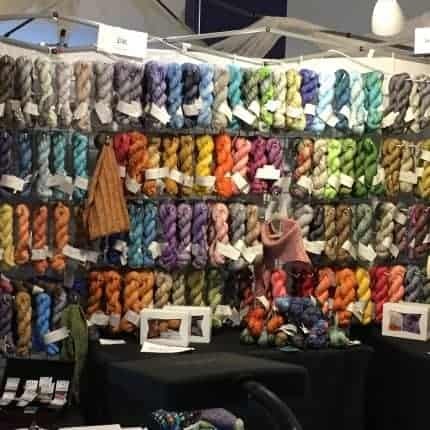 Since I only sell at shows and to LYS you will only see all of my colorways and fibers at those locations. Check out my show & LYS locations on my website under the news and events page. If you own a shop and would like access contact me and I will provide you with a access code. Show to start off the Fiber Season: Chancellor’s Sheep and Wool Showcase in Clermont, N.Y., on April 21st. Blue skies, warm sunshine and birds singing…. I hope everyone had a wonderful winter and now…. On to spring!!! Hello Indie Untangled Fiber Gurus! 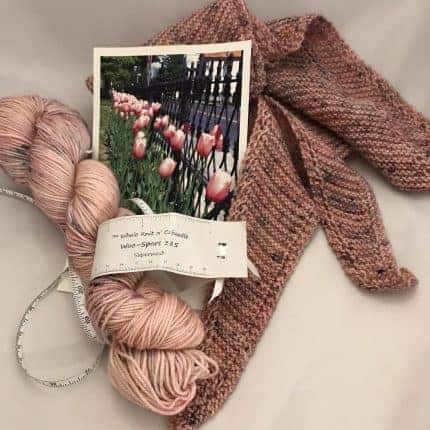 I’m Terri from Whole Knit ‘n Caboodle Yarns from Albany, N.Y. (it’s about an hour north of Rhinebeck). I’m from a family of crafters: sewing, painting, woodworking — anything craft related I’ve done it. 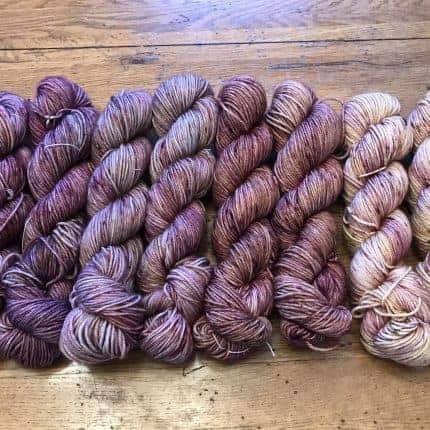 After getting back into knitting about 15 years ago and learning so many new techniques from my sister — some may know her as Mary, owner of the LYS Perfect Blend Yarn and Tea in Saugerties, N.Y. — I started dyeing yarn a few years ago and the world hasn’t been the same for me since. 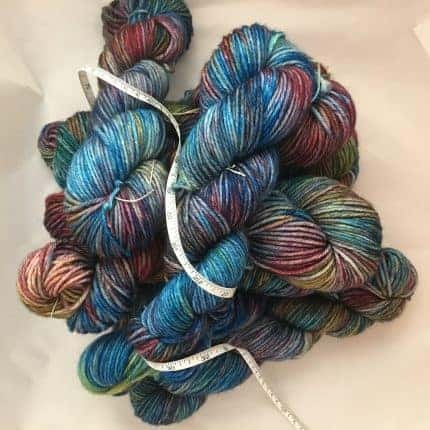 My yarn is mostly available through yarn shops and I do a few shows throughout the area. 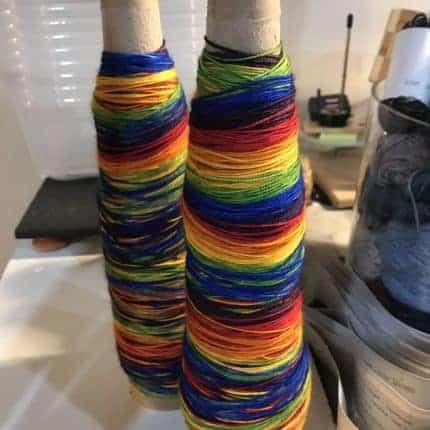 As of right now I have about 10 bases of yarn that I dye, from alpaca to Merino with bamboo. There is no question that fiber people are the best inspiration to other fiber artists. 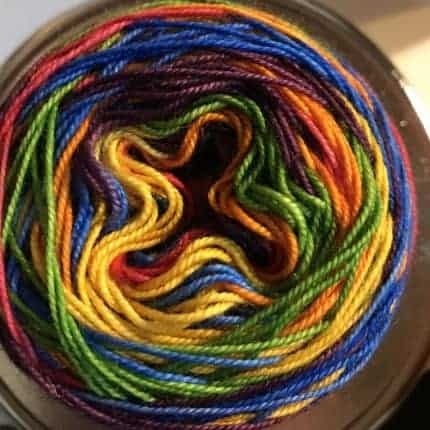 I have been having the best time collaborating with people from custom colors for Fades to online yarn boxes. The fiber world is filled with fascinating people with so much inspiration. I hope I can inspire some of you to create some wonderful projects too!